Total Kid Project Baseball, is a player development program that combines elite on-field training with scientific-based performance and speed training. Our program maximizes on-field results by providing our athletes with both unmatched training resources and the very best baseball minds. 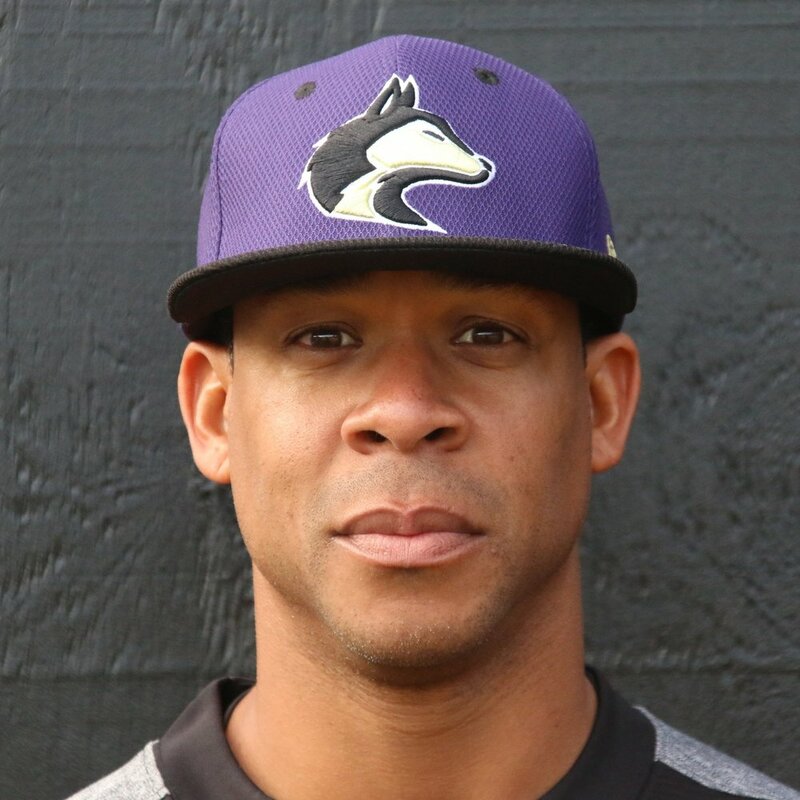 Total Kid Project coaching staff is led by our President of Baseball and Player Development Michael Eaglin –former professional player in the Atlanta Braves and Chicago White Sox organization and former scout for the Minnesota Twins. Total Kid Project (TKP) is a California based sports organization that aims to enrich the lives of youth ages 5-18 years through mentorship, athletics, educational development and community engagement. We are focused on affording opportunities to talented young athletes by relieving the financial burden associated with competitive travel sports. In his youth, Michael Eaglin was a three-sport athlete - excelling in basketball, baseball and football. He always dreamed of pursuing a career in the sports world. In 1991, Michael was drafted as a Free Agent to the Chicago White Sox. He postponed his start in baseball and opted to play college football at the University of California, Berkeley. After only one year, he was recruited by the Atlanta Braves organization and embarked on an 8-year professional baseball career. He played as a Shortstop and a Second Basemen. He was named to various All-Star teams and was recognized as Most Outstanding Defensive Second Baseman throughout Class High A ball. Upon retiring from the field, Michael served as a Scout for the Minnesota Twins for many years. His keen eye for talent and knack for mentorship has earned his current right to be the National Crosschecker for The Future Stars Series, a program sponsored by New Balance and Program 15. The baseball journey for Max Valencia began at Balboa High School in San Francisco, CA. He was a 4-year Varsity Starter and was named Player of the Year in 1988. He went on to play in Northern California at Skyline and Chabot Junior Colleges before embarking on his professional baseball career. Max was signed as a Free Agent to the San Francisco Giants (1991) and California Angels organizations (1992-93). He played in the Northern Independent League (1994-96), trained with the Atlanta Braves (Spring 1994), and played Winter Ball in Columbia, South America (1994). In 1997, Max founded Take It ToThe Max Baseball, a coaching organization that he continues to operate today. He has served as a Pitching Coach for the Varsity Teams at Monte Vista High School and De La Salle High School. Additionally, he was the Manager and Pitching Instructor for the California Warriors 18u Elite Travel Team in Northern California (2014-16). His love for the game, coaching, and the development of players enabled him to segue into professional scouting. Beginning with the Arizona Diamondbacks in 1997, Max scouted thousands of players. His keen eye for talent has supported the Minnesota Twins, Los Angeles Angels and the Kansas City Royals. TKP is pleased to have Max on the team. His invaluable experience, knowledge of developing players with a professional career in mind, and genuine love for the sport, serves as a tremendous contribution to the program. Since he can remember, Vernon has loved playing the game of baseball! From his little league team (Steve Hopkins Honda, Fairfield, CA) who won a consecutive sixty-three (63) games over 3 years, to his high school team (Fairfield High School) that was ranked 26th in the country in 1992, or his American Legion team (Solano Concrete, Fairfield, CA) that made their first appearance on the national scene representing Fairfield, CA in 1993 at the American Legion World Series, finishing 5th in the country; Vernon has been a winner! In 1994, his lifelong dream of becoming a Major League Baseball player came one step closer when he was drafted by the New York Yankees. However, being raised by a single parent, wise counsel suggested that he continue the pursuit of his baseball career at the Division I collegiate level. After playing in the State of California Junior College All-Star game as a freshman, the next spring he received a full ride scholarship to New Mexico State. In New Mexico, he played a short time. Then, his life changed…. Today, as a Social Entrepreneur, Vernon is the Executive Director of Mass Movement Mentoring (M3), and considered an authority on youth leadership development and criminal justice reform. Since 2007 Vernon has dedicated his life to “reaching the unreachable” and “teaching the unteachable”. But, make no mistake, Vernon has been there. Whether it was playing the street game, the drug scene or even prison life. But through life changing events he has come out the other side a winner. Through his powerful story, combined with practical experience, hard won life lessons, and the possession of a sound education he has overcome and assembled a formidable message for reaching today’s teens. As a keynote speaker, Vernon is in demand for audiences of all ages and cultures, but his message has a special resonance with the male youth in our urban communities. As it pertains to his continued love for baseball, in 2016 Vernon received the honor of being inducted into the Fairfield Expos Baseball Association’s (FEBA) player Hall of Fame; the highest honor from a nationally recognized elite youth baseball organization. His passion is to inspire young men to achieve their maximum potential in life through the lessons learned from the game of baseball! Brandon Fredzess played baseball in Oakland, CA all the way up thru high school. He played as a middle infielder, 3rd baseman, and pitcher. He graduated from Oakland High School in 1999 and was scouted by the Kansas City Royals. Following his stint with the professional organization, Brandon began coaching in 2008. He wanted to give back to the community and coached with the Richmond Little League. He had two undefeated seasons and continued coaching Little League through 2012. Based on his success with younger kids, Brandon decided to fill the void for travel baseball amongst high school-aged youth. He created the Richmond Bulldogs, a program for boys 14 and up. The long-running program is still in existence and merged with Hit N run in 2017. Brandon is currently known as Coach Fredzess, Varsity Baseball Head Coach at De Anza High School. Prior to his tenure, the program had only 3 wins for the season and now hold an undefeated league record of 10-0. Ruben is a very talented baseball coach and has managed several championship travel baseball teams since 1989. Ruben played baseball at L.A.V.C and has shared his baseball experience / knowledge with many players through his program. Proud to say, a good amount moved on to become impact players for the minors, colleges/universities/JC’s. He’s enjoyed watching his high school players represent at D1 CIF Championships at Dodger Stadium consistently. His goal is providing resources and opportunities for all youth to become productive and caring citizens. A strong believer of incorporating life lessons through baseball such as: Character, Leadership, Accountability, Work habits, teamwork and positive sportsmanship. Kenny Paysinger, Jr., began playing baseball in Little League. From the age of 4, he developed a love of the game and continued through high school and on to college. He is an alumnus of El Cerrito High School where he played football and baseball. His position on the field was Short Stop, which earned him All American honors. Upon graduating, he received numerous scholarship offers and was even recruited by the professional teams in Philadelphia, Kansas City, Miami, and Cleveland. Kenny enjoys mentoring and is currently the Head Varsity Baseball Coach at El Cerrito High School. Prior to that, he was the Head Varsity Baseball Coach at Salesian High School for six years. In his spare time, Kenny enjoys watching his two younger boys play. He has a true passion for the game and has mentored and coached high school players who are currently enrolled in college baseball programs. From the age of six, LeTroi aimed to “play at the next level”. Whether the next level meant from little league to elite youth baseball, high school to college, or even college to the professional ranks, he committed to working to get to the next level! Although undersized, LeTroi thrived at every level of the game. He first made national noise in 1993 as a part of the first American Legion baseball team (Solano Concrete, Fairfield, CA) to represent the Northwest Region at the American Legion World Series; finishing 5th in the country; where he batted leadoff. After high school, Letroi enrolled into and played at the national baseball JUCO powerhouse, Sacramento City College in 1995. In 1996 he transferred to Patton University to further “playing at the next level” at the collegiate Division II level. Over the past 6 years, LeTroi has committed his time, knowledge, networks and resources to developing the leadership skills in young men through the game of baseball in the Bay Area. Andrew Saenz is a collegiate baseball player. He was raised in the San Fernando Valley and joins TKP under the mentorship of his former coach Ruben Rodriguez. He played throughout his formative years - youth, high school, and now college. Early on, he had a place on the rosters of two travel baseball programs, the Mid Valley Sharks and SoCal Bums. While attending Chatsworth High School, he played all four years where his team placed as City Champion Runners-up in 2014 and 2016. Andrew is currently a Pitcher for the Eagles, the LA Mission College team. The Eagles won the title of Regional Champions 2017. Andrew is a welcomed addition to the TKP Huskies organization. His ability to relate to the players as a player himself is invaluable. Jose Ascencio began playing baseball as a kid in Northern California. At the age of 6 years, he knew that he wanted to pursue baseball. During his early youth, he played for the San Pablo Boys Club, Pinole, and C.Y.O. While attending De Anza High School, he played baseball. He continued to play post-high school at Contra Costa College. He did not pursue baseball further, but always maintained an appreciation for the sport and a love for the game. Jose enjoys the development process and teaching kids the fundamentals to be successful at the game. He is a true asset to the TKP Huskies No. Cal Division. Jason Johnson is a Vallejo native. He developed a love of baseball while playing at North Vallejo Little League. Throughout his youth, he continued to play and realized his true potential in the sport following his years at Hogan High School. Jason signed a letter of intent to play at Long Beach State but bypassed college to embark upon a six-year run as a professional baseball player. In 1994, he was drafted in the 5th round by the Texas Rangers. He played three years with the Rangers organization and was Rule Five drafted by the Pittsburgh Pirates in 1997. After one year with the Pirates organization, he went on to join the Chicago Cubs organization for one year as well. He rounded out his pro career as an independent player in the Frontier League.